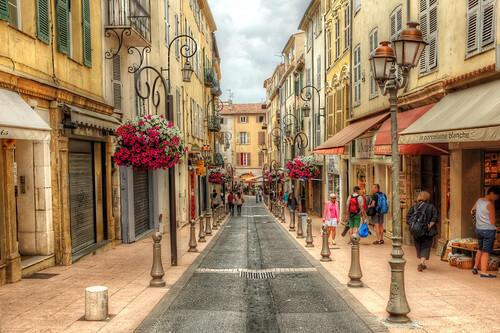 Antibes is close to Cannes, a beatuiful small twon in Provence. Photo taken using my new Fuji X100S. It has ISO autobracketing which is great for HDR of moving subjects. The camera does great in high ISO, so it is perfect for these scenes. Processed in Photomatix and postprocessed in PS to reduce Photomatix noise and add curves.